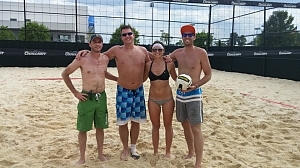 CCA is your premiere organizer for adult beach volleyball tournaments. We make sure that all teams get plenty of playing time, and we focus on continual action, with little sitting between games. Don't miss out on these exciting tournaments filled with sun, sand, tiki bar, great play, prizes, and more! Tournament layout is round robin pool play followed by single or double elimination brackets dependent on team count. 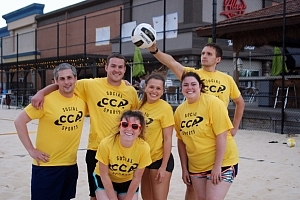 CCA beach volleyball tournaments are a one day event that are not part of weekly leagues or their corresponding tournaments. These are single day events that offer multiple hours of play for a great price! Check below for upcoming tournament dates or email ben@ccasports.com with any questions.